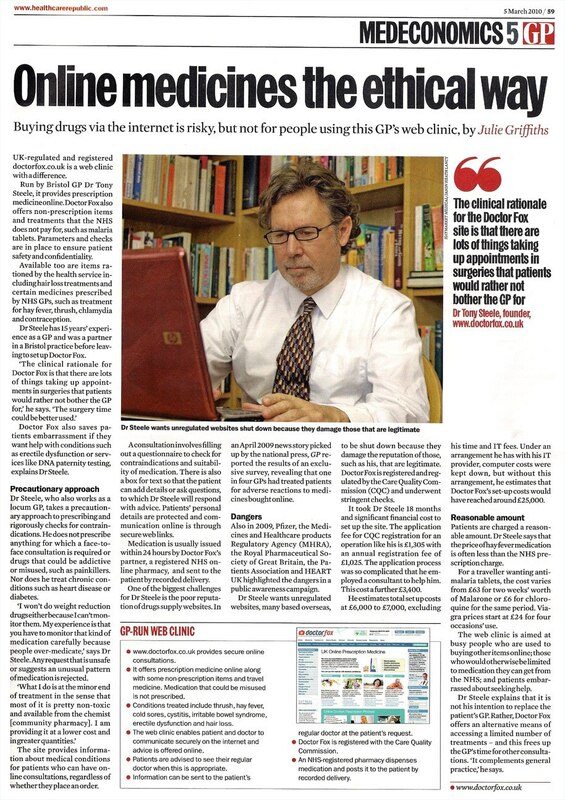 Dr Fox prices are usually 25%–50% lower than other well-known online pharmacies/clinics for the same medicine. How is this possible? Dr Fox operates at a much lower profit margin, but still delivers an excellent service (read customer reviews). All costs listed include consultations with GMC registered doctors, dispensing medicines by a UK pharmacy and, in some cases, delivery costs. Dr Fox adds a small prescription fee (£1£4) not included in comparison tables. Dr Fox provides treatments on prescription for a range of routine healthcare requirements at prices lower than other online clinics. The service is fully regulated in the UK and managed by a team of GPs who also work in the NHS. Rated 4.9/5.00 in 7824 reviews.